Five etched opal glass lights and a brushed nickel finish add shine to this bathroom light. Full of versatility and sophistication, this bathroom light shines with smooth elegance. Sweeping, graceful lines finished in brushed nickel add gleam, while bell-shaped etched opal shades add a touch of soft, chic style. This lighting fixture blends both traditional and contemporary styles of decor, making it a timeless classic. From the Bolla Collection by Hinkley Lighting. 45 3/4" wide x 8 3/4" high. Extends 6 3/4" from the wall. Backplate is 18 1/4" wide x 4 1/2" high. Weighs 17 lbs. Bolla five-light bath light by Hinkley. Brushed nickel finish over metal construction. Etched opal glass. 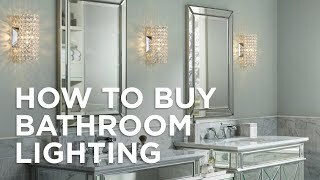 Because of the width (have a 60" mirror in the vanity) and I liked that it could be installed up or down. Plus Hinkley is a quality brand. Look forward to receiving it. Thank you. 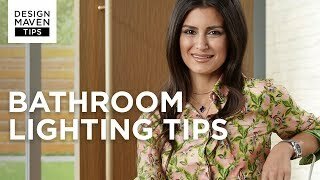 How do I get a coupon code for a Bathroom light I want to order? Once you sign up, you will be emailed exclusive offers, sale alerts and much more as they become available! BEST ANSWER: Hi - this is damp location rate. A curvaceous track with delicately balanced seedy glass shades delivers an elegant look to this transitional four-light bathroom fixture in brushed nickel. Beautifully illuminate a spacious master suite with the elegance of this transitional five-light bathroom light in bronze with delicate seedy glass shades. Update the transitional style of your bath with this linear LED wall light made of brushed nickel finish steel and opal etched glass. The energy savings you&#39;ll enjoy with this sleek etched opal glass and brushed nickel bath light are nearly as exciting as its chicmodern design.